When a wedding has a strong color theme, it's great to make a statement about that on the outside of the album. This bride and groom's Pasadena wedding photography consistently portrayed the orange decor and design accents that were carried throughout the wedding. 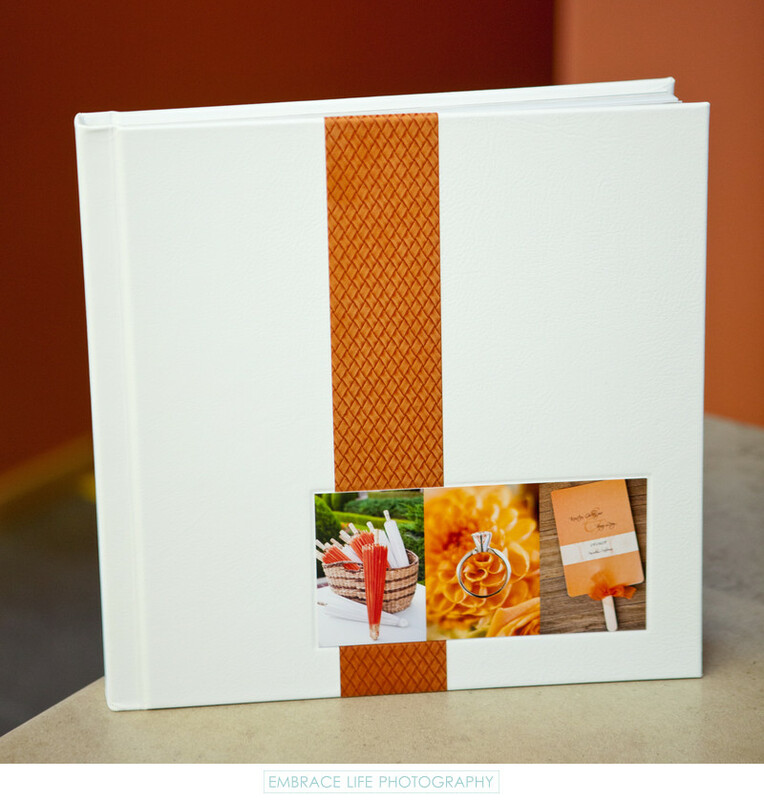 As such, the white genuine leather cover of this wedding album contains a collage of three detail photographs, one of which is the wedding ceremony program fan displaying the couple's names and their wedding date, and a vertical stripe of woven fabric in a complimentary orange color. Location: 300 W Green St, Pasadena, CA 91105.